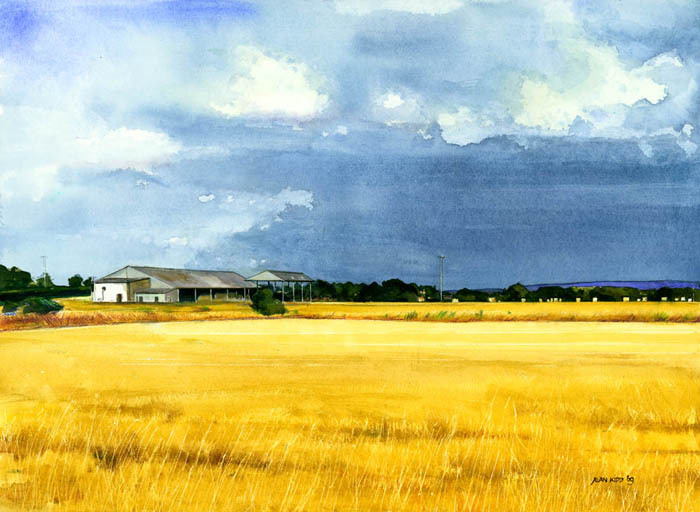 Barns at a farm near Thame which I have painted often. The light on the newly harvested field in contrast to the heavy sky is what really interested me. It is typical of the time of year when the farmer needs to get his wheat harvested, then down comes the rain storm. This painting has been around a long time and has not looked like selling so it still adorns a wall in our lounge - it would be sadly missed but I would be really happy to see it go to a good home!